© Ken Baker - used with permission. 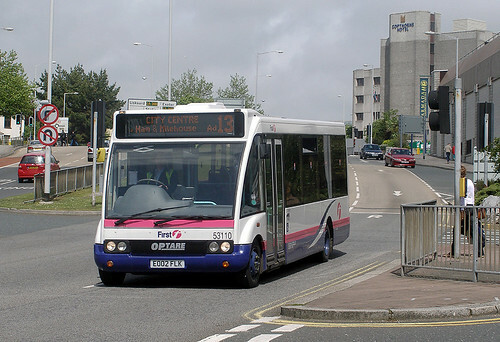 Thanks to ken at last I have a shot of a small batch of Optare Solos that have recently arrived from First in Essex. 53110 is seen on the 13.